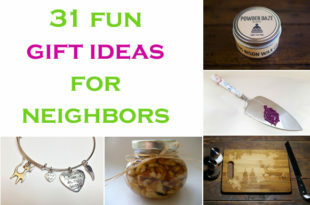 The festival of Holi, often celebrated with colours, finds completion in gift giving. 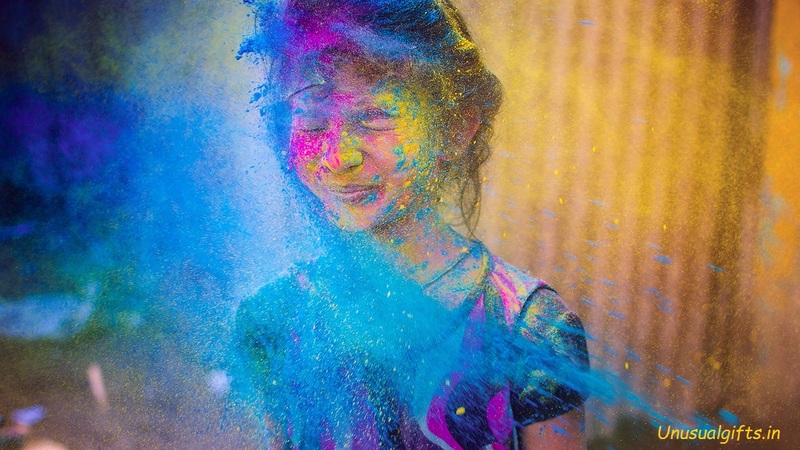 The tradition is not only followed in India, but even by Indians settled abroad who send their warm and heartfelt wishes by sending across Holi gifts to friends and relatives in India. 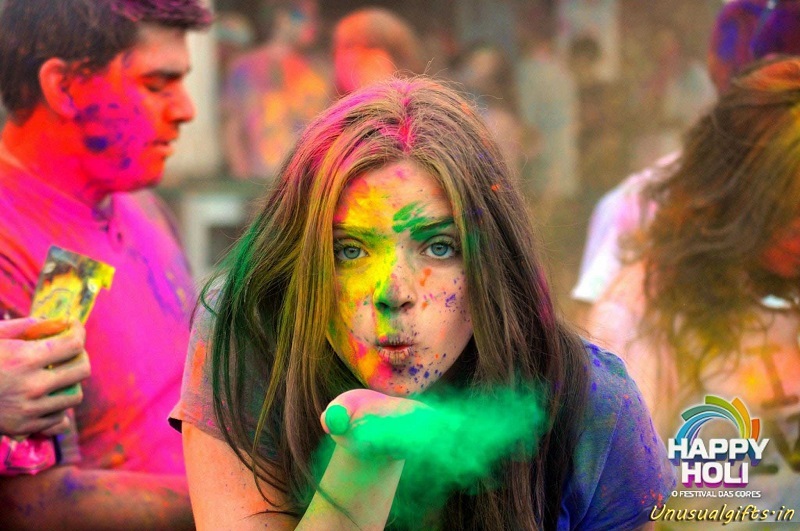 In the land of festivals, Holi adds endless vibrancy through the convivial celebration of rituals, fervour and colours. And an essential part of this social enjoyment is the exchange of wishes, gifts and sweets, that brings the celebration a perfect culmination. 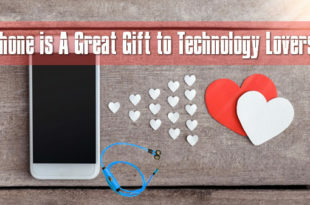 Gifting tradition has undergone a huge shift with the abundance of options available online. Find exclusive gifts from a variety of options with the click of a mouse and spread love and vibrancy this Holi season. Included in an elegant, colorful and beautifully designed wooden gift box, this special package contains chocolates filled with fruits and nuts, butterscotch and roasted almonds. It’s the ideal gifting solution on Holi for personal as well as corporate occasions. The assorted chocolates are sure to tempt your taste buds where as the exterior sturdy box can be reused later for different purposes. 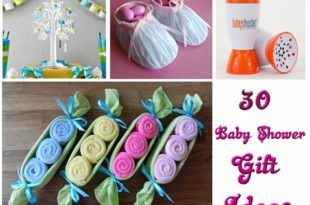 Safely packed in an adorable basket are three of the most special items to gift your loved ones on Holi. 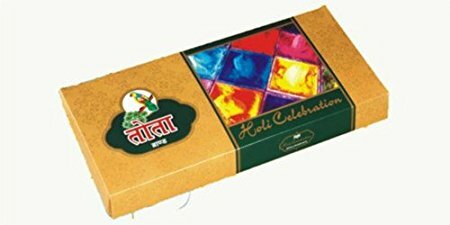 A pack of delectable cookies, 9 special Colourful Holi chocolates and 2 packets of herbals colours are probably the sufficient and most functional things that work their charm around the occasion of Holi. Gift this beautiful silver pichkari to your special friends and relatives and they will definitely flaunt it around. 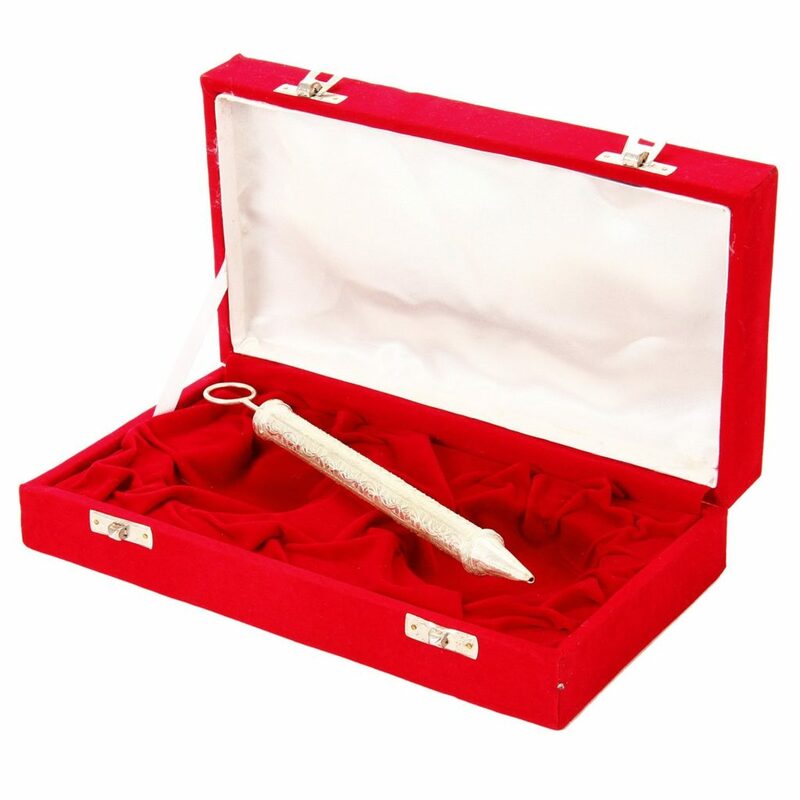 It’s also the perfect gift for all official and corporate purposes. The pichkari is plated with pure silver that imparts it a gorgeous shine and it comes in a well-designed gift package. 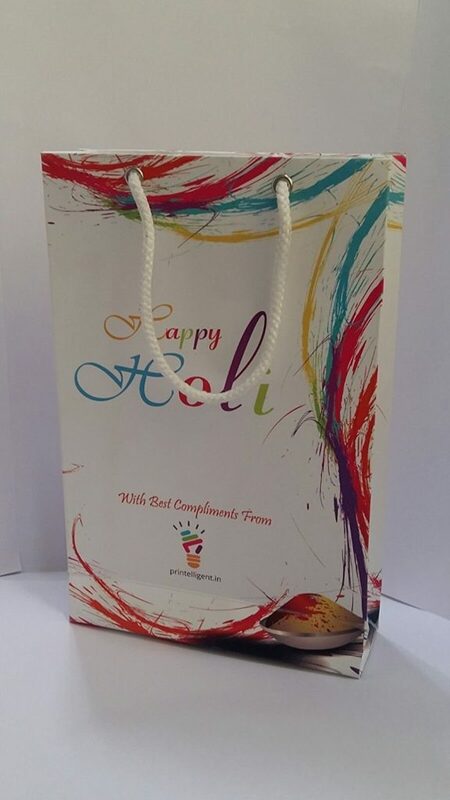 The royal Holi celebration colour pack is an ideal gift package for all Holi events to be used anywhere. 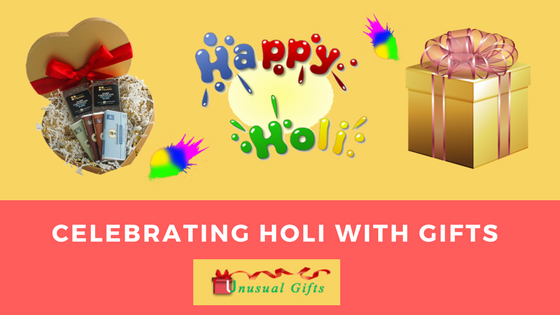 The assorted pack included gulals, holi sprays, colour pouches, chandan and holi liquid that is perfect for parties, colour fights and festival celebrations. Carry around your own pack and be ever ready to drench one another in hues of colours. Gujiya is one amongst the most favourite and consumed sweets during the season. 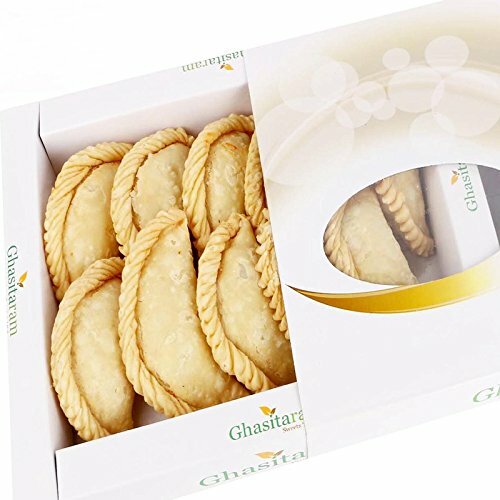 This beautifully packaged box of Gujiya sweets is made from refined flour pastry, and the mawa and cardamom stuffing make it all the more delicious. Surely enough, there’s no better way to send Holi wishes than this pack of savoury dry sweets. A pack of 10 small sized high quality paper bags with digital printing and personalized photos is an excellent way for gifting items on the special occasion. Also, it helps to make a lasting impression for your loved ones. For all official and corporate purposes, this gift bag is an ideal choice as you can customize your company name and logo as well. Beautifully packed in a well designed gift box are 32 colourful special assorted chocolates that look and taste equally yum. 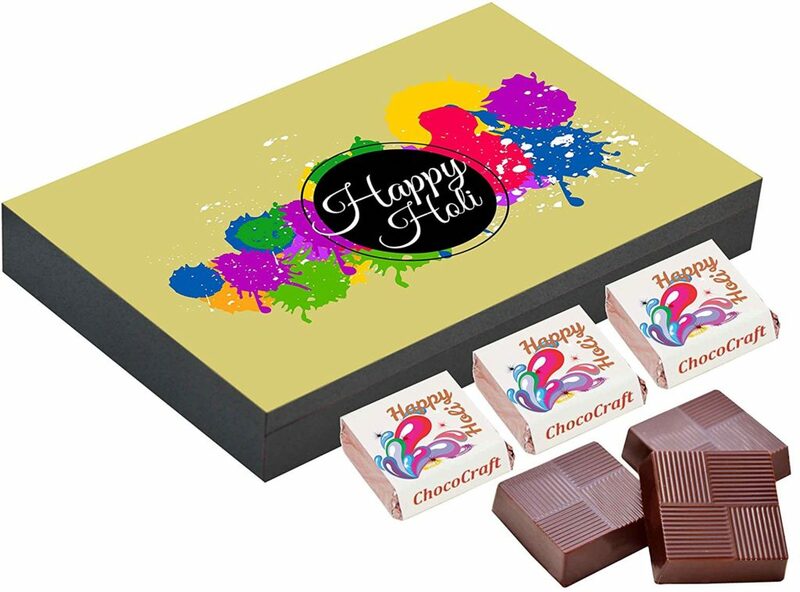 A milk chocolate bar in the middle with Happy Holi on it is the charm of the entire pack. Also included in the extravaganza pack are two packs of Holi colours. 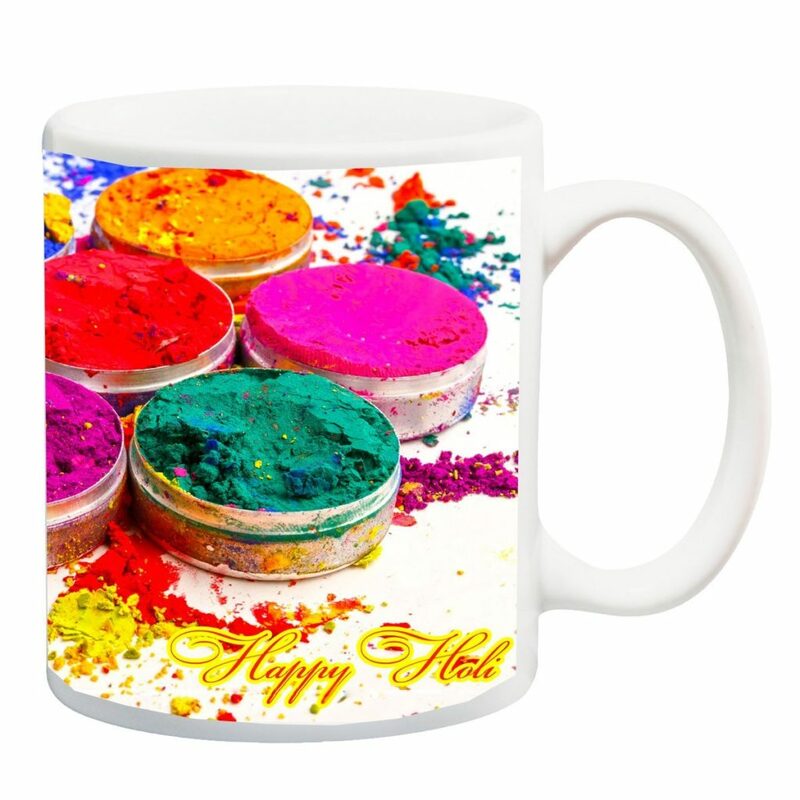 This round beautiful high quality ceramic mug has multiple colour boxes printed upon it that give it a funny, quirky and unique appeal and make it a highly desired gift item for Holi. The mug is dishwasher and microwave safe and is available at an affordable price. 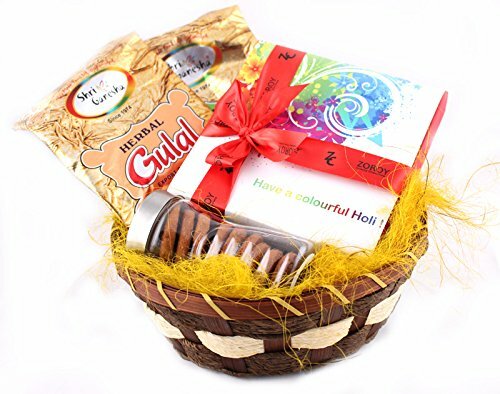 An all in one gift box that is just ideal to send out to your loved ones and relatives across for Holi. 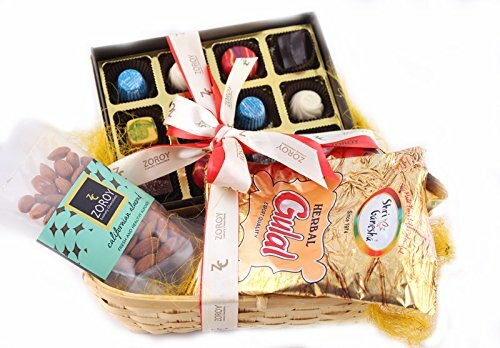 The best quality chocolates and dry fruits have been neatly packed along with 2 packs of herbal colours each in a neatly packed basket to be safely delivered anywhere in India. 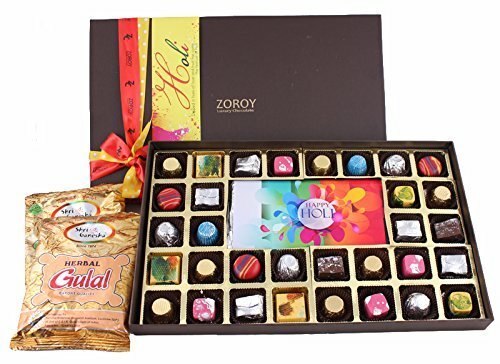 Packed in a stylish, colourful and vibrant box, this specially designed gift contains chocolates with delicious fillings of butter scotch, fruits and nuts and roasted almonds. The thermocol box packs in the contents hygienically and gets them delivered to you in great condition. You can even have these chocolates customized to please your loved ones. Stylishly shaped mugs with finely grazed terracotta finish in multiple colours bring a classy and refined ethnic touch to your favourite evening tea/ coffee sessions. These rustic creations made from clay are perfect for everyday use and the right choice gifting something fun and quirk to your loved ones this Holi. 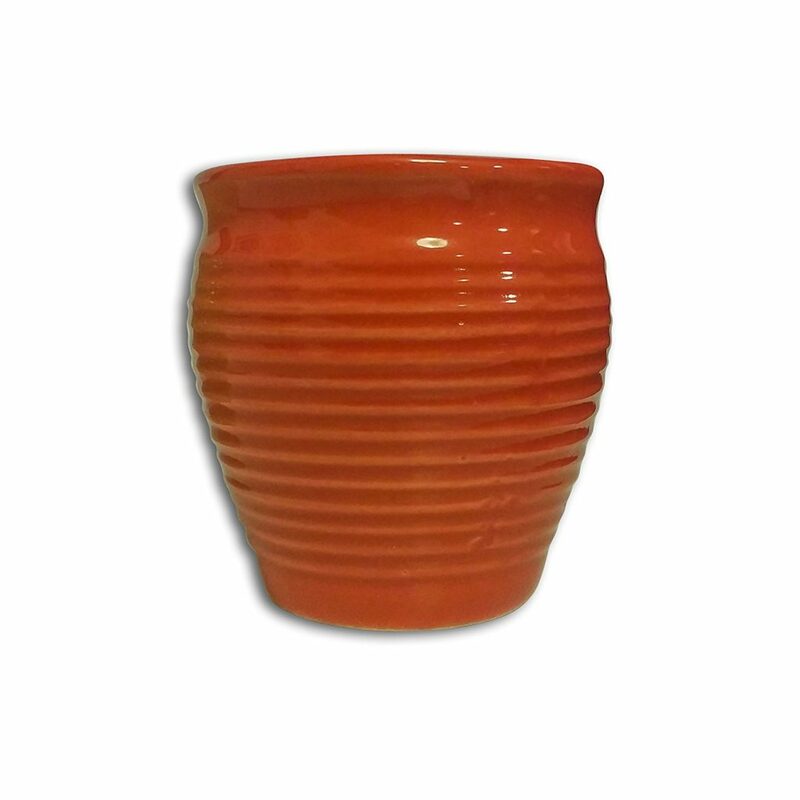 Bring about a dash of ethnicity and the finery from old world with these brilliant terracotta kullads. 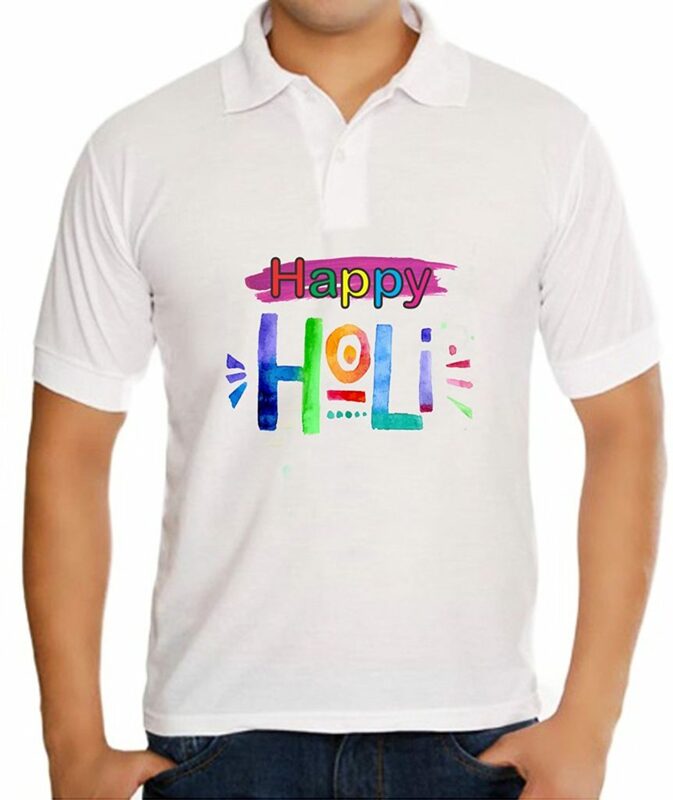 Let the Holi madness creep into your friends and family when you gift them this Holi inspired cotton t shirt. This vibrant yet classy wear is perfect for the occasion and adds on to the essence of playing and enjoying with colours. You can gift one of these to your entire family and make your Holi an amazingly more memorable and colourful one. The best gift to make your kids happy and excited for the upcoming Holi season is this Star Toys Water Gun Tank Squirter. It’s great for both girls and boys and works effortlessly by easily creating pressure on the bottom half part of the gun. The storage tank that comes along is sure to delight any kid. Drench and get drenched with colours with Holi and make it a more cheerful and vibrant one with your little ones. 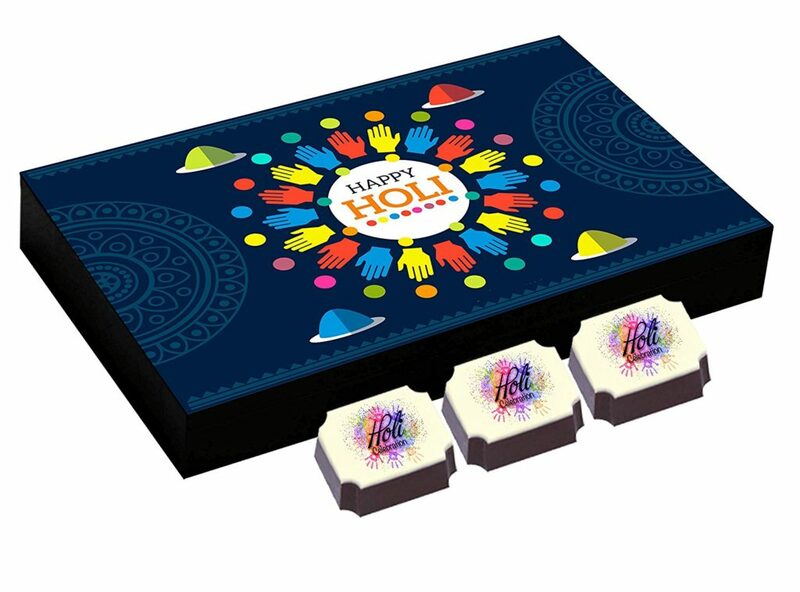 This gorgeous little box made from wood, satin and velvet with a glass laminated Holi photo print is a perfect wrapping material for your Holi gift items. 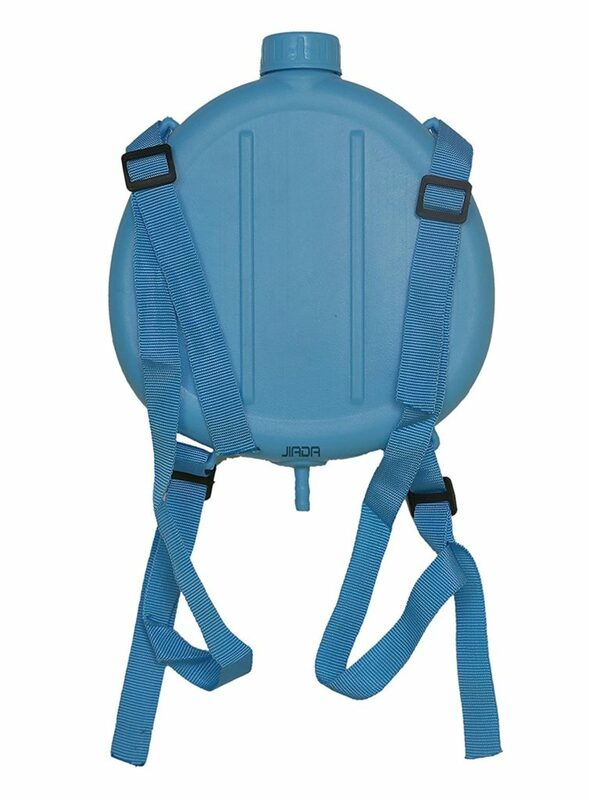 It’s sturdy, is secured with a golden twist lock and has a carboard lining inside for more durability. 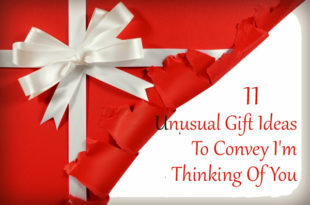 For gifting any delicate or expensive items to your loved ones, this gift box works really good.